If you enjoy adventure outside and space to walk around inside then check out this Rockwood Roo expandable travel trailer by Forest River. Model 23IKSS features two slide outs in the main living and kitchen area allowing everyone enough space to move about without squeezing in. The popular kitchen island offers more prep and serving counter space as well as a double bowl sink. You are sure to enjoy the mounted 24" LCD TV, digital AM/FM/CD/DVD with remote, MP3 player hook-up, and WIFI Ranger WIFI booster when relaxing inside. You will find sleeping space for 6 with 2 queen tent end beds, plus there is a sofa and dinette if needed. The rear full bath features a space saving radius glass shower door and linen storage. And there are many more features and options to choose from! With any Forest River Rockwood Roo expandable travel trailer you will find comfort in knowing it is built on an aluminum frame with vacuum bonded construction. You will enjoy a smooth ride with the Dexter Torflex torsion rubber axles and radial nitro filled tires. Inside you will find 80" vaulted ceilings, recessed ceiling LED 12 volt interior lighting, decorative valances, solid wood and raised panel doors and drawers to mention a few standard features. It's time to stop thinking about getting an expandable, and start camping in one! Founded in 1965 as a family run business, and still is today. 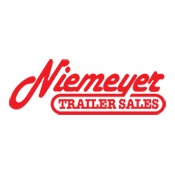 Whether you visit our Elko or Albertville location, you will still find a Niemeyer family member ready to serve you. You will also find hard working and experienced staff members.